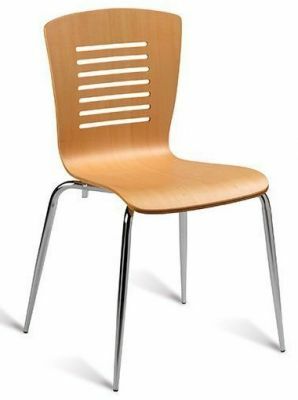 The Baroj chair has a professional clean finish and decorative back support. Finished with a Maple veneer and beautiful Chromed legs. This product will be delivered to your door in 3 days.